By joining one of more than 80 EAPA chapters and branches worldwide, you receive, education, training, business contacts, professional and skill development, opportunities to earn Continuing Education Units (CEUs) and Professional Development Hours (PDHs), as well as recognition for your volunteer efforts. It only takes 12 Individual Members (U.S.) or 6 Individual Members (International) to establish a chapter/branch. 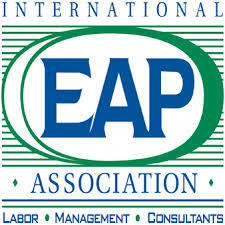 Please contact EAPA for more details on chapter/branch development or visit the Chapter Tool Kit at www.eapassn.org. “Chapter Development Assessment” to be assessed to U.S. members who elect not to affiliate with an existing EAPA Chapter. If you are not currently affiliated with a Chapter, your renewal invitation will reflect this new fee ($35). The collection of this fee is intended to provide investment resources to assist in enhancing the availability of Chapters and their associated services/benefits to members. As always, and in keeping with the EAPA bylaws, every member should affiliate with at least one local Chapter. Please note that your membership will not be activated until payment is received in full. * All dues are in U.S. dollars unless otherwise noted.